As with many financial matters, quite a bit of jargon can be attached to personal loans. It’s important that you completely understand all of these words and phrases when you consider applying for a loan. If you decide to take that loan, you’re likely using it for an important purpose in your life. And you’re making a commitment to repay the amount in a specific period of time. You don’t want something in the details to trip up your plans after the fact. 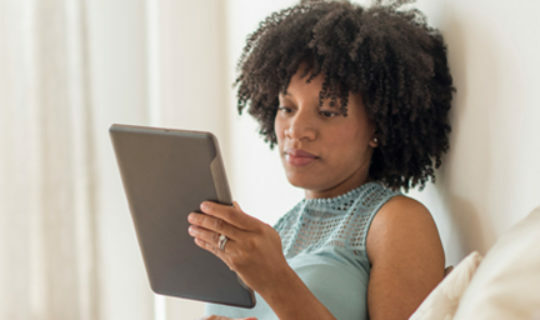 Think of these eight key terms as a personal loans glossary to help guide you to the personal loan that may best fit your needs. Unsecured Loan – An unsecured loan is a personal loan that does not require the borrower to provide collateral. Personal loans, credit cards and student loans are considered unsecured loans. Secured Loan – Different from a personal loan, a secured loan is a loan that requires the borrower to put up collateral, such as a house or a car. If the borrow defaults, the lender can generally take possession of that collateral. It’s an important distinction to understand – a personal loan is not a secured loan and does not put your collateral at risk. Payment Terms – This refers to how long you have to pay off a loan. The length of repayment could affect the interest you pay throughout the life of the loan and your monthly payment. For example, if you choose to pay off the loan as quickly as possible this could lower your total interest, but increase your monthly payment. Conversely, a longer repayment period could mean lower monthly payments, but more interest paid overall. Debt Consolidation – Debt consolidation is combining multiple debts into one. In some cases, it makes sense for borrowers to bundle higher interest debt owed to multiple creditors into one loan with a lower rate. Credit Score – A credit score is a numerical measurement reported by the three major credit bureaus – Equifax, TransUnion and Experian. It’s determined by a borrower’s credit history, which can include bill-payment history, outstanding debt and the number of open credit card accounts, among other things. Credit scores help lenders evaluate the creditworthiness of an applicant when making a credit decision. Credit Report – A credit report is the information communicated by credit reporting agencies that demonstrates a consumer’s credit standing. Credit reports provide lenders a snapshot of a consumer’s credit history and behavior, including payment history and the status of credit accounts. Origination Fee – An origination fee is an upfront fee charged by a lender for processing a new loan. It is usually a small percentage of the loan. Some lenders, like Discover, have no origination fees. With a solid understanding of this personal loan glossary, you can read and analyze with more clarity to determine what loan terms are right for you. Knowing these personal loan definitions may help you get just what you want, without surprises. If you’re ready to move forward, be sure to read what you need to apply for a personal loan.